Home » Thoughts from The Sage » Product Assistance » Envelope Special! Small envelopes on left and large envelopes on right. Have you ever wanted to pack bath salts, bath fizzies, or even tub teas into single serving bags for your customers? Now you can with our latest special! I have two different sizes of envelopes and they are perfect for almost any use. 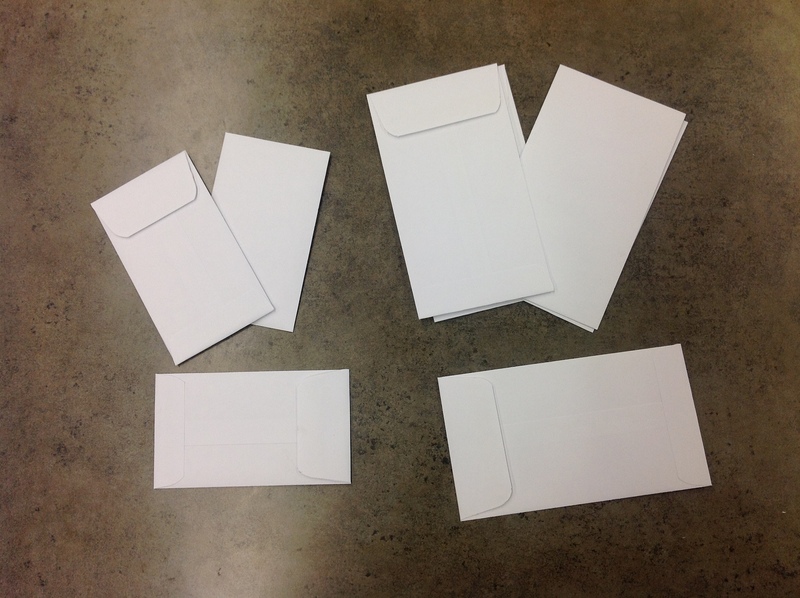 The small envelopes are 2 1/2 inches wide by 4 1/4 inches tall and the large envelopes are 3 1/8 inches wide by 5 1/2 inches tall. You may be asking, “How do I get these?” I promise that it is as simple as Taylor’s Shrink Band Special. These envelopes come in packs of twenty (20) and can be included with any order free of charge. Isn’t that awesome? Just tell us in the comments field of your order that you want Andee’s Envelope Special. Tell us how many you want in what sizes and we will add them to your package. Because I only have a limited quantity on hand, you won’t want to delay! After all, the holiday season is going to be quickly approaching us. Should we do some countdowns! Which holidays are you most anticipating? I know I can find some uses for these! Thank you. ooooh, i like those. i’ll be sure to request some in my next order. I am sticking a post-it note to my brain to remember to order some lol! I want to know what are these made of, just regular paper? These envelopes are made out of regular paper. Thicker than copier paper, but thinner than cardstock. Does this help? As for what holiday I’m looking forward to most: Halloween. It has always been my favorite one and certainly the most favorite to decorate for. Oh, these are cute! I think the big ones would be perfect for sliding in a couple of bath tea bags. I am concerned about the oils seeping into the paper though… have you tried it?